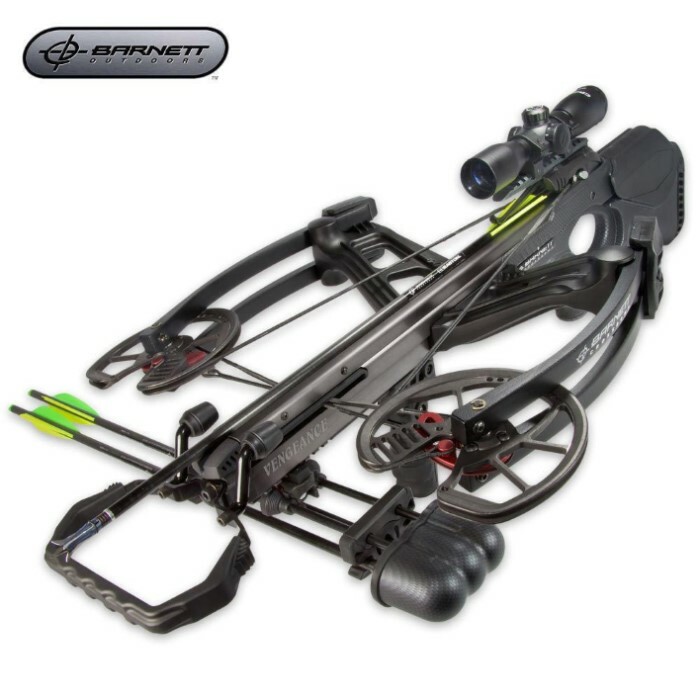 Barnett Vengeance Crossbow | BUDK.com - Knives & Swords At The Lowest Prices! The Vengeance™ Crossbow features reverse draw technology, shifting the center of gravity closer to the body of the shooter creating a perfectly balanced bow. The natural reduction of vibration in this design allows for a smoother, quieter shot every time. The weight reduction in the CRT riser provides steadier shots and delivers unparalleled down range accuracy. Great crossbow bought it for my friend and it performed exellent but heavy on the pull back strength.